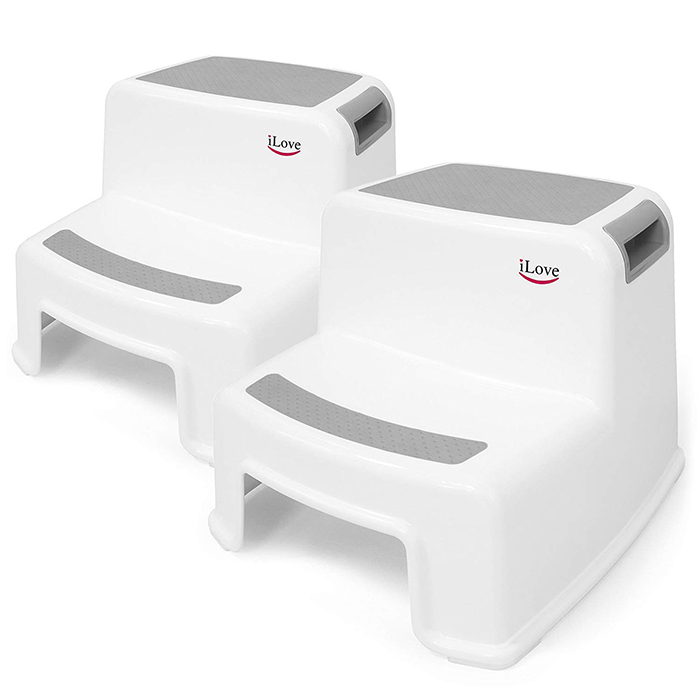 Tired of diapers, rewards that don’t work and drawn-out potty training that take forever? Learn about potty training in three days with these instructions! My husband and I had been lazy with potty training. As expensive as diapers cost, I love the convenience of not rushing to the nearest bathroom. Or feel pressured to keep outings short should my kiddo need to use the restroom. 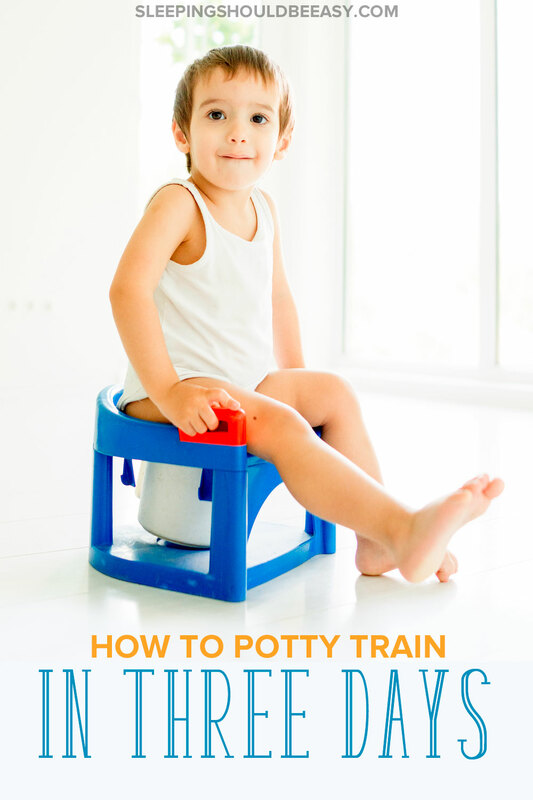 Still, the time finally came when we decided to take the plunge and learn how to potty train our toddler in three days. “We potty-trained our two boys by keeping them naked around the house for a few days,” a coworker shared. “Without diapers, they were more aware and didn’t like pooping or peeing naked. So they were more inclined to use the potty,” he said. Other words of wisdom came from my mother-in-law. She recently potty-trained another one of her grandkids using the same bare-bottom method. She kept him naked from the bottom down, and when he felt the urge to pee or poop, he’d run to the potty. “This is too good to be true,” I thought. “Just keep them naked and they’re potty trained? I’ve got to give this a try.” And so I did, on a three-day weekend. My toddler was even excited about “potty practice,” as I called it. Well, it turns out these tips on potty training in three days seem to work after all. Stay home the entire day and keep your toddler naked on the bottom. I was scared and expecting the worst: puddles of pee on the carpet, poop smeared everywhere. Surprisingly, he wasn’t as messy as I thought, even for the first day. Yes, one all-out pee fest took place where it was as if I took a watering can of pee and just poured it on our carpet. But usually he would start with a few drops before looking up at me. At that point, we’d run to the potty and he’d finish his business there. Day 2 is a repeat of the first, except this time you should leave the house for one full hour without diapers or undies. I like to stress no undies because kids can mistake them for diapers and think they’re able to pee and poop in them. Instead, have your child wear pants or shorts and enjoy your outing. We kept ours simple: just a walk to our local park. a roll of paper towels and wipes for potential clean up. Again, remain bare-bottom at home like the first two days. But this time, take two outings with just pants or shorts on (no diapers or undies again). For us, my husband took him to the park just like the previous day, and for a walk around the block. Maybe a little consolation was all he needed. Because soon after, he stopped crying and allowed himself to remain bare bottom. Still, I was willing to hold off for a few weeks if he resisted—you can’t potty train a toddler in 3 days by forcing him. I didn’t give rewards. The most he received were stars we’d draw on a poster hanging by the bathroom. We offered lots and lots of support and praise instead. He can feel good about his progress all on his own without external validation for now. Learn why rewards can backfire. From little trickles to full-on poop plopped on the carpet, expect some accidents. That’s why I referred to these past few days as potty practice—it takes practice to master this skill. My toddler improved: he had more accidents that first day than on the others. At the same time, he also regressed and had bigger accidents on subsequent days than on the first few. Just as with most things in life, learning a new skill can be a two steps forward, one step back kind of thing. Take it as it comes and praise for the hard work your child is putting in. Learn how to praise your child. Even with regular bowel movements, my toddler didn’t poop those first two days. And while caught on with peeing in as little as a few weeks, he still had poop accidents several months down the line. Even though I’ve eliminated diapers while he’s awake, I still put them on him when he sleeps. Kids won’t be able to control their bladders during sleep for a while. If day two of potty training seems worse than the first, don’t worry. Consider potty-training a “two steps forward, one step back” kind of progress. Your son may have done well the first day because it was new, or for the gold stars and rewards. Slight regression is okay so long as you continue to see a general trend of improvement. But if you notice that he’s resisting and regressing too much, then try again a week later. I’m still holding off on taking him on longer outings. I want to make sure he’s comfortable using public restrooms and able to hold his pee in for several minutes. But I’m so proud of my toddler for strides he has made so far. He hasn’t had any pee accidents in the last few days. He tells us when he has to pee and even holds it in until we’re able to sit on a potty. This has been such a huge change in his life, and I’m so pleased he was willing to give it a try. Your turn: Have you tried to potty train a toddler in 3 days? What obstacles did you face? How are you faring after three days? Get time management strategies, FREE! Do you feel overwhelmed balancing the needs of your family and your role as a mom? Struggling to find the time to get everything done? 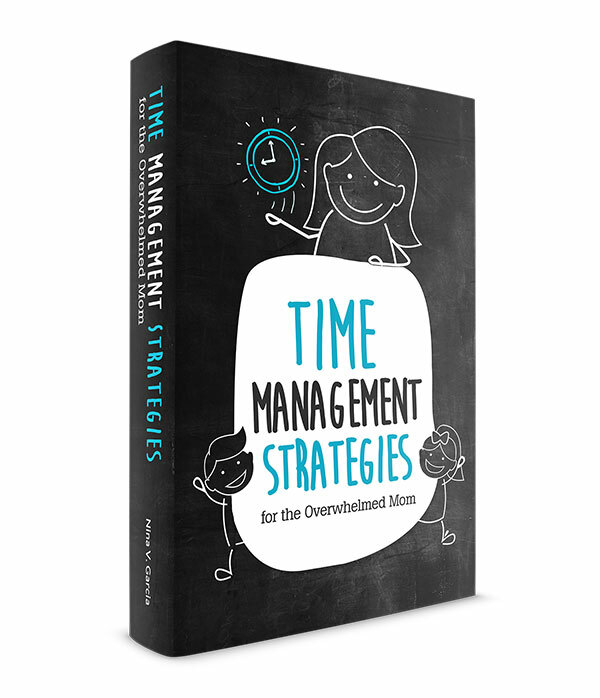 Get organized with a FREE copy of my ebook, Time Management Strategies for the Overwhelmed Mom! Success! Check your email to download the ebook free. Thank you so much for this post Nina. I think Lachie is ready for potty training – I just don’t think I am! It is honestly more daunting to me than any other parenting learning curve I’ve had in the past two and a bit years! I think I might try this three day plan. Eeek. Wish me luck. So glad it has worked for your LO, it must be a relief to know you have overcome this hurdle before the twins arrive. I’m the same– I was not looking forward to potty training. And unfortunately you kind of have to show them how to use it, not like walking where they sort of learn it on their own. I definitely kept it in mind though not to pressure him or make him feel bad if he wasn’t up for it. I didn’t want to traumatize him or make him feel like he failed. After all, they have to be ready not only physically but emotionally as well. Good luck to you Laura! Let me know how it goes. I watched for signs that she was ready. As simple as that. Oana it’s so funny you relied on signs of readiness because I couldn’t be for certain whether he was ready or not! Some days I think he is because he tells us he just pooped, then other days I think it’s too early because he didn’t exactly say he wanted to use the potty. I just gradually had him sit on the potty for several weeks and even months. Even this was a process: first it wears sitting on it with clothes, then with diaper, then finally he was ok sitting naked. So I guess it was a gradual preparation that helped him get used to the potty. Thanks also for sharing your tips! What impeccable timing! I’m very much thinking about potty training right now, and I DREAD it. I, too, enjoy the convenience of diapers. My husband and I were discussing the three-day approach recently. We’re just waiting for a three-day weekend to give it a try. And if little guy isn’t ready, I sure won’t push it. I’m glad to hear of your success! Haha we’re on the same page, Lynn. I was never in any rush to potty train. I *may* have had a twinge of toddler-comparing when a friend of mine already had a not-even-2yo potty trained while mine was still in diapers, but I pushed it aside and waited for more signs of readiness. Let me know how your potty training goes! I recommend already buying a potty and having him sit on it even for fun. That way it won’t seem so strange for when the time came. What an unusually ideal potty training. We tried the same method and our little guy has suffered through UTIs, constipation, potty refusal, numerous accidents within moments of leaving the house. Some unhelpful people have told us that it’s because there’s something wrong with our technique or that he’s “doing it for attention” or “because he’s defiant.” We figure each kid has their own strengths, weaknesses, and time table. He is far more helpful around the house than most kids, a fabulous brother, very athletic…but struggles on the bowel and bladder control. 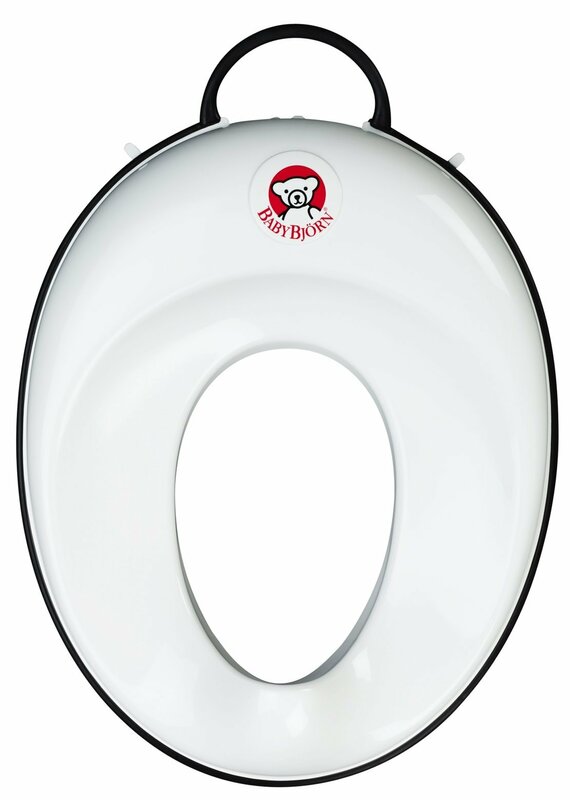 So far any of you out there who are finding slow success, take heart…all children potty train eventually! Robin thanks for pointing that out! Like I told Lynn above, I sometimes would feel bad if a younger child was already potty trained and my son wasn’t. After all, he’s nearing three years old and is just now potty training. But then I remind myself that each kid is seriously different. His pediatrician said it’s normal for kids not to be potty trained up to 4.5 years old. They have to be both physically and emotionally ready. If you kiddo had UTIs and constipation, seems like he wasn’t physically ready, and with the potty refusals, probably not emotionally ready either. Baguette just turned 2-1/2, which is the earliest that her day care expects her to show interest in potty training. So far she’s not shown much, although I’ll sometimes ask her if she needs to use the toilet. But if she doesn’t respond, I drop it. I’m definitely interested in learning what techniques others have used, though. Thanks for sharing yours! Mine was the same at around the same age. That’s why I was a bit surprised when his pediatrician said that the *average* for boys to potty train was 2.5, which seemed really early for me, especially for boys. At 2.5, my toddler was just barely telling us he had poop. And practically zero interest in potty training or sitting on the potty. I would say that the range for potty training should definitely remain pretty wide, considering how different each kid is. Great advice! I did leave underwear on Diego because I realized he could really feel “that” better and it was less messy for me to clean up. He was using the potty by 27 months. Santi is now 22 months and we have also started the process. I will be posting about this soon because with both it has taken me more than 3 days! Kudos to you and all mommies who can do it this way!! Betty, I’d love to hear how it went with your potty training! I think 3 days is more of the “crash course” in potty training. There’ll still be accidents, and poop-training is a whole other skill to master. Plus, I still haven’t taken my LO out for long outings or in public restrooms. But as far as peeing at home and in other people’s homes, he has at least got that down pat! I won’t be surprised if your little one will learn even earlier than Santi what with having two older brothers to copy! I did this with my oldest and it worked well. Didn’t even have to go this route with #2 and #3. I started potty training my youngest last spring and he was clearly not ready to switch over whole hog. I was totally okay with that. And on a whim recently tried getting him back on the toilet regularly and he mastered it in 24 hrs and he’s stayed dry since. When they’re ready, they’re definitely ready. I know what you mean about getting tired of washing/buying/paying for diapers. With older siblings the LO’s are so much more motivated to copy cat. Usually. Kerry, I imagine that older siblings definitely help their younger sibs with potty training. I sometimes wondered if whether my son wasn’t exposed to other kids was why he was a bit on the later side. I’m sure seeing other kids peeing would at least draw their curiosity. You’re also right about readiness. It’s kind of weird how they’re just ready, even in a matter of weeks. Hope you’re feeling great with your pregnancy! Thanks, Ana! That’s awesome that Lucas was already pooping within the week. With my kiddo it’s still a hit or miss (literally, lol!). Good reminder about consistency. We’ve since been very good about not relying on diapers unless we have to, and I think that has helped him progress much better. And thanks for thinking about my pregnancy! All is well, although since this is the second pregnancy, and a twin one, I’m already getting aches and pains. What the heck! Oh, and I found out the genders, at least an early screening of what they’re likely to be 🙂 Stay tuned for that! Oh just tell us now!! Thanks Nina! My son is quickly approaching 3 and I feel bad because he’s not even close to potty trained. 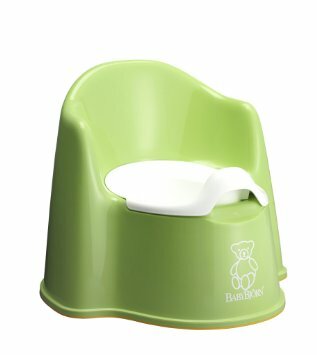 We’ve had potty seats since before he was 2 but he’s not interested and at times down right resistant. I bought a bunch of fun underwear a few months ago hoping I could entice him with no luck. I barely got him to try them on and he said “take hem off!” Over and over until I did. He’ll occasionally sit briefly from time to time on the potty but he never tells me when he’s wet or poopy even if I ask(and already know the answer). Clearly he’s not ready but I feel so much pressure to get him potty trained by grandparents, and other moms some of whom have already trained their kiddo younger than mine 🙁 this is by far the toughest parenting challenge I’ve come across so far! Fingers crossed my little one will be ready soon but I guess I’ll just keep waiting…. Molly, I would feel the same way whenever I’d see kids younger or the same age as my son already potty-trained and wondering for a quick second if I’m not doing enough to help him potty train. Granted I never really tried any active potty training like the 3-day method before, so I don’t know how he would’ve reacted had I introduced it earlier. But he just didn’t seem excited so I was in no rush. It seems like your son isn’t ready yet, and we just have to remind ourselves when they’re in that stage that they’ll be ready when they’re ready. My kid’s pediatrician even told me that it’s easier to potty train an older child than a younger one if they’re not ready at that point. I would try to tune out other people’s opinions because every kid really is different. I almost feel like we do worse by putting pressure on them to potty train than just seeing if they’re willing to go along with it. His pediatrician mentioned that some kids don’t potty train til 4.5 years old and that that’s perfectly normal, and that everyone WILL potty train (as she said, no one goes to kindergarten in diapers). Like you, I bought the potty a zillion years ago and also had fun undies lying around lol. I think that’s great and it at least introduces them to the concept of potty training so that it’s not so brand new to them. Thanks, Valerie! I figured he has no idea what “training” means but definitely knows what “practice” is all about! Worried about her having pants on and having lots of accidents there? Would it help if I started to phase in pants? I would try doing the three-day bare bottom starting Saturday and go until Monday. Then come Tuesday, you can put pants back on your little one in time for school. And I would also expect that she will have lots of accidents at preschool 😉 I think her teachers will understand and I’m sure she’s not the only child who will be going through potty training. Let them know that she has just potty trained and provide them lots of extra clothes and undies. Are they requiring that she be potty trained? Or can they work with her to enforce the potty training she’s learning at home? I have identical twin boys age 3 both have a global delay so only now I have thought that they maybe ready 1st morning was crazy I wanted to give up wee poo all I’ve the place by the afternoon we had had lots of weed to the potty. Day 2 woke up twin one had taken his pull up off and weed through his cot bars he said no nappies. The second day was totally different they both had realised to run to the potty after a little dribble. We had no poo accidents and they was now going to the potty independently and when I was asking if they needed to go they both said yes or no. Day 3 it’s only morning but wow we have woken up stippped down I was in the kitchen twin one comes in with a full potty he wanted to tip down the toilet and then twin two did the same so far no accidents and are using the potty independent. I have to say I am quite shocked on how easy this is especially with two. It’s my first day alone as daddy has gone to work but no anxiety at all I think my boys have nailed it. 🙂 I 100% recommend. You’ll get tons of new tips and inspiration that’s not here on the blog.